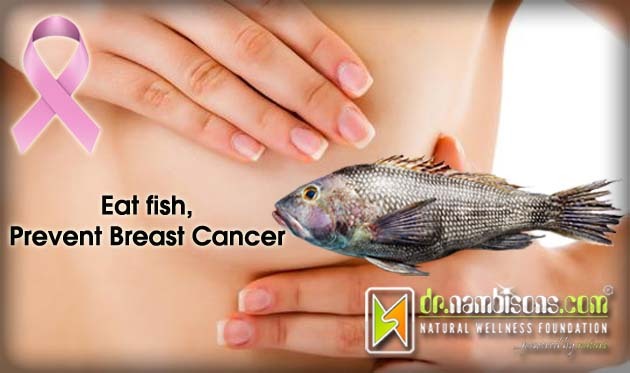 A recent study published in BMJ (British Medical Journal) says intake of fish and n-3 polyunsaturated fatty acids (n-3 PUFA) lowers the risk of breast cancer. Breast cancer is one of the most common cancers and the leading cause of death from cancer among women, accounting for 23% of the total cancer cases and 14% of cancer deaths in 2008. For the past few decades, epidemiological studies have suggested that a healthy diet and lifestyle is critical for the prevention of breast cancer, and dietary fat is one of the most intensively studied dietary factors closely related with risk. Spread the message to all females known to you, & save them!